I want eyelash extensions... Or, someone who can apply individual fake eyelashes to my lids every morning. Alas, until I can afford either of these options, I&apos;ve found the next best thing. I&apos;m obsessed with having luxuriously long and luscious eyelashes (clearly). It can totally transform a woman&apos;s look. It ups the ante more than lipstick, more than bronzer, and more than under-eye concealer. Yes, mascara trumps all in the makeup department... at least in my book! To say that I&apos;ve tried my fair share of plumping, lengthening, curling, and separating mascaras in my day would be an understatement. So trust me when I say that this primping product from Physicians Formula is a total game changer. 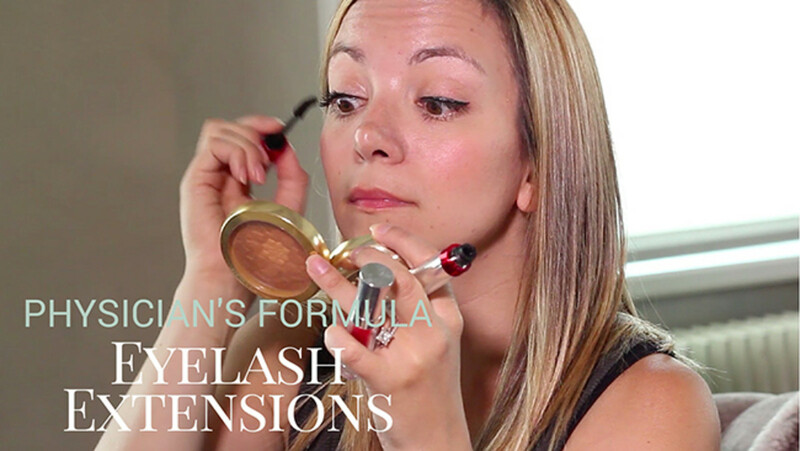 First, you apply a coat of the Eye Booster mascara followed by a layer of the natural extensions. Top it off with one more layer of mascara, and you’re ready for the red carpet. (Or, you know, the grocery store.) BTW, you can repeat the process a second time for an even more intense look. Formulated with cellulose, panthenol, botanical extracts, and vitamin E, the all-natural extensions add dramatic length; while the hi-tech mascara lifts and plumps. Check out our full review below and see the results for yourself! Come to think of it... Who needs eye extensions--or a makeup artist?